The government of Canada’s largest province will on Thursday reveal its plans for reducing greenhouse gas emissions, and Ontario’s environment minister says it will show that fighting climate change doesn’t require a carbon tax. Environment Minister Rod Phillips is releasing the Ford government’s climate change plan at 1 p.m. ET during a news conference at a conservation area in Nobleton, north of Toronto. The plan will include targets for reducing Ontario’s carbon emissions, but it will not include a carbon tax, Phillips told CBC News in an interview. “Obviously [climate change] is an important priority,” Phillips said. “It’s something that we’ve all acknowledged needs to be addressed,” he said, criticizing what he called the “dogmatic belief” that a carbon tax is the only way to tackle climate change. Asked how the province can reduce greenhouse gas (GHG) emissions without putting a price on carbon, Phillips responded with questions of his own. The Ford government brings in its climate change strategy against the backdrop of its bitter fight with the Trudeau government over carbon pricing. Ford fired the latest shot Wednesday, blaming the planned federal carbon tax for General Motors’ plan to close its assembly plant in Oshawa, even though GM announced at the same time it intends to close four U.S. plants too. 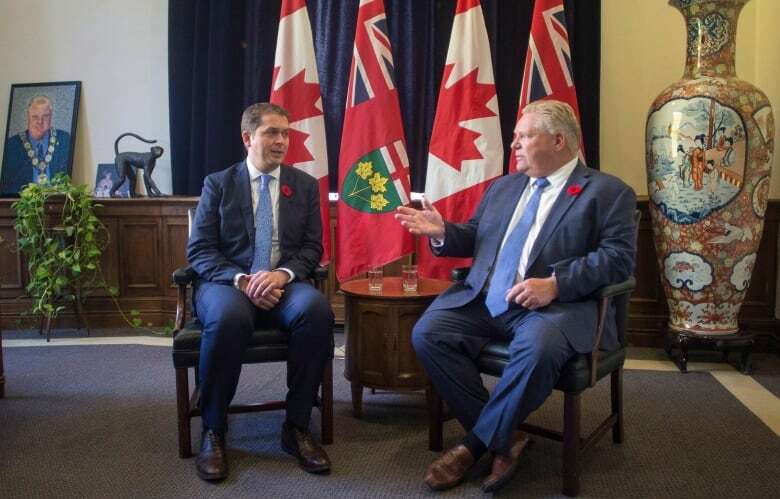 Ontario is currently joining Saskatchewan in a court battle against the move to impose a federal carbon pricing scheme on provinces that don’t have one of their own. Ottawa has shot back by bypassing the Ford government and sending $420 million from its Low Carbon Economy Fund directly to cities, hospitals, universities, schools and businesses to help with efficiency programs and other emission-reduction efforts. 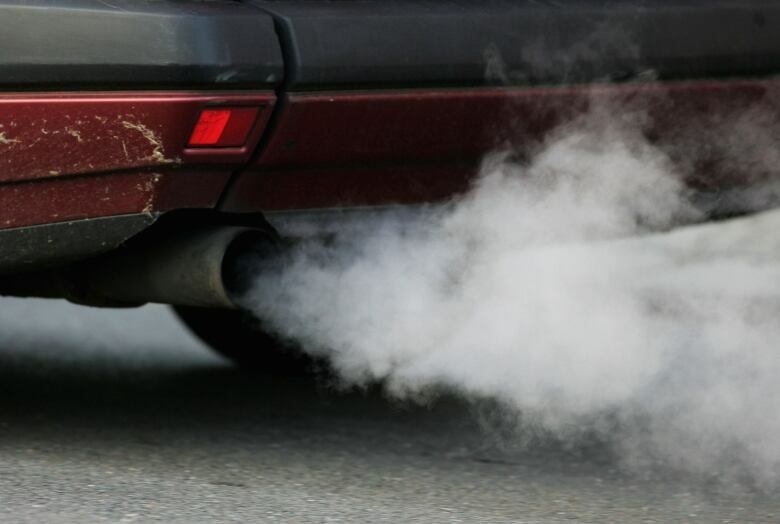 The specific targets for emission reductions in today’s plan will be crucial, says the Ontario NDP’s climate change critic, Peter Tabuns. “Will there be targets that will actually protect people from dangerous climate change? That’s a critical piece. If [the plan] doesn’t have that, then the rest isn’t worth looking at,” Tabuns said in an interview this week. “If [Phillips] has no carbon pricing at all, but he shows real projects, real policies that will reduce emissions, and he can show how they would be reduced, and he shows how they will be paid for, then that could well be credible,” said Tabuns. The PCs promised during the election campaign to create an emissions-reduction fund, offering public money to companies that come up with innovative ways to reduce their greenhouse gas output. That’s a signal the plan may borrow from the model currently used by Australia’s conservative government — a plan that has been criticized for failing to reduce the country’s emissions. Philips has said he is looking to jurisdictions around the world, including Australia, in developing the plan. Ontario has already brought down its greenhouse gas emissions by 22 per cent from 2005 levels, in large part due to decommissioning all coal-fired power generation, but also because of the drop in the province’s manufacturing output since that date. A report issued Tuesday by the United Nations environment office said worldwide greenhouse gas emissions continue to rise, and that emissions must drop 55 per cent from 2017 levels by 2030 to prevent the global average temperature from rising more than 1.5 degrees.